Do you need new boat deck hardware or marine docking supplies? Look no further than the Great Lakes Skipper marine store. With over 10,000 boat parts in stock, you have come to the right place. 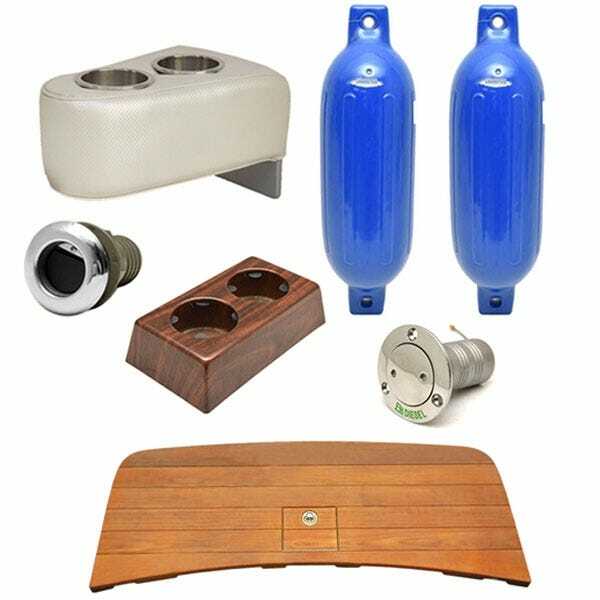 We carry top quality boat deck hardware for just about any application. From bow rails to stern lights, port windows to starboard cutting boards, to everything above and below, our boat deck hardware and marine docking supplies will add that extra measure of safey, durability and class you need on the water. Our marine docking supplies are the original boat parts installed by the boat builders so you're sure to make a great impression. We are bringing in thousands of new products every month, so keep watching our website for more marine hardware.